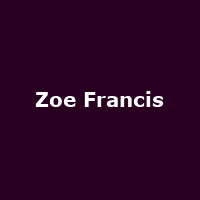 "Zoe Francis is a singer to listen out for. She communicates a love and understanding of the classic American songbook with the lightest of touches. It sounds easy and casual until you notice how deftly each turn of phrase falls in just the right place, both rhythmically and to chime with the meaning of the words. Zoe started singing while Living in New York for a while. Learning her craft through Barry Harris workshops and singing in small venues in Manhattan with great musicians including Harry Allen and Joe Cohn. "